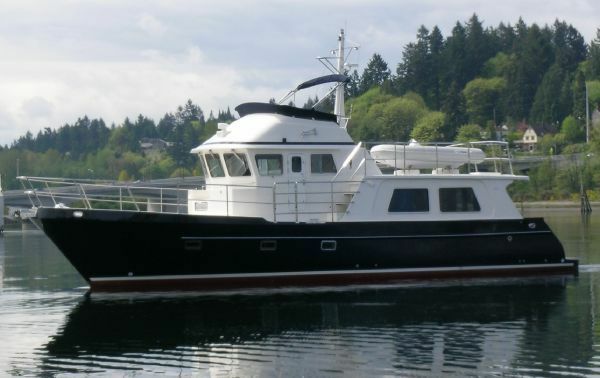 Commissioned by a knowledgeable boating family, hull #314 has been maintained to a very high standard as this family is also in the maritime industry, operating two Bay Area boat yards. Cruised exclusively on San Francisco Bay, Delta and Lake Tahoe - yes Tahoe as a summer home - the hospitable Greenline 33 is perfect for families, couples & green enthusiasts alike. Those with kids and pets will be comforted by the safety of her tall bulwarks. Inviting company aboard for dinner or cocktails? 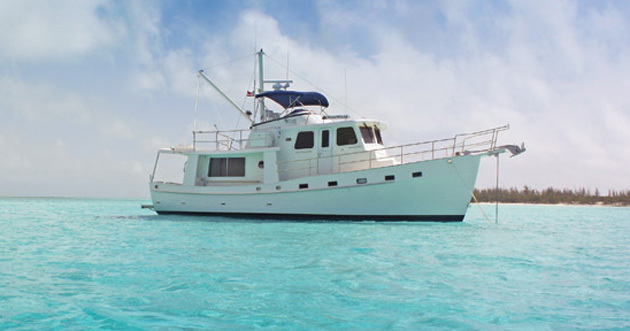 Your guests will savor the flow of the indoor/outdoor aft galley. And everyone will love with the ability to SAIL UNDER THE SUN! Cockpit enclosure, sun cushion & more! 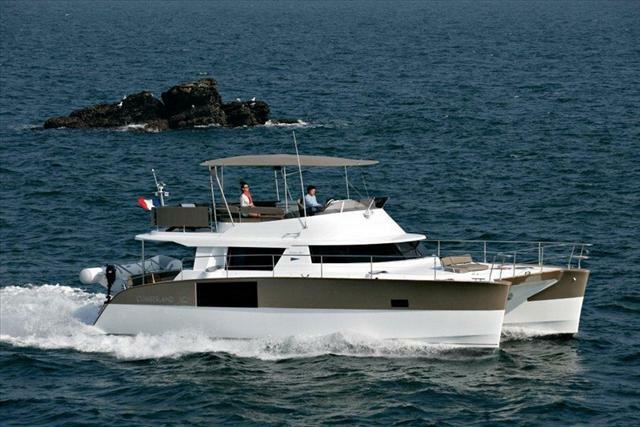 Ideal for marinas, cruising and no wake zones, Captain chooses to sail in electric mode by flip of a switch at the helm. As the vessel rests in neutral the switch activates a hydraulic clutch plate which uncouples the E-motor from the diesel engine. The E-motor and transmission being on the same drivetrain are then propelled by the 48V battery Lithium Polymer Battery Bank capable of 5.5kts. Entire process takes roughly five seconds. All the while 500W of solar energy on an array of two panels constantly replenishes the ship's house and propulsion battery, providing extended range in daylight hours. Time to Go (TTG) and Time to Full (TTF) are monitored through the smart Victron Battery Management System (BMS) at the helm and GreenPad App. The ship's 120V consumers (fridge, cooktop, outlets) are fed by solar input rendering a traditional CO2 emitting on-board generator unnecessary. Once the Captain chooses to switch back to diesel mode and use those 165 ponies he/she simply brings the gearbox back to neutral, flips the hybrid helm switch which engages the clutch plate, bonding the entire drivetrain into one regenerative (5kW) power plant and away you go....capable of 16mph. 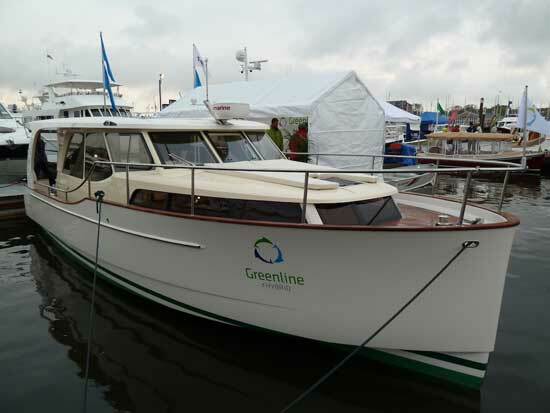 Greenline is a purpose built hull design derived from the ground up. Visiting the factory in Slovenia and seeing the world's largest five-axis milling machines at work it was evident this OEM builder built thousands of hulls for decades for other manufacturers. Never before had Seaway designed a boat of their own creation. 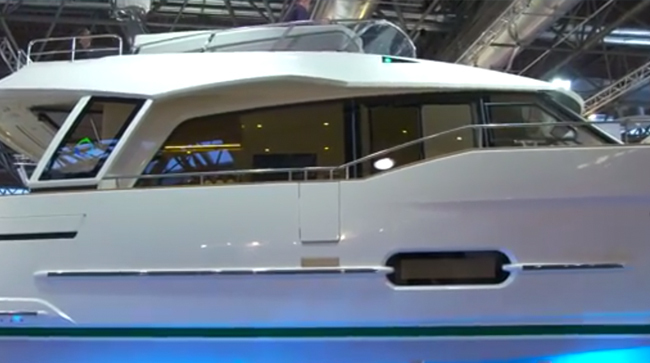 It wasn't until 2009 when the minds of two brothers collaborated on an efficient semi-displacement trawler in which they could incorporate ground breaking hybrid propulsion technology. Easier said than done as you cannot simply throw and electric motor and some batteries into just any boat and expect the performance one finds in the Greenline 33. As life long sailers J&J knew the waterline had to be long, the entry had to be sharp and the COG had to optimal. They even added a couple lateral stability fin skegs to help the ship from heeling over, maximizing speed and fuel efficiency. New build techniques were also introduced with its inception like vacuum-infusion resin lamination to create a much lighter product, one third lighter than that of their competition. The result is a sleek, yet timeless hull which has won 29 International Design Awards, sips fuel with tremendous range capability, and utilizes the next generation of environmentally mindful tech. 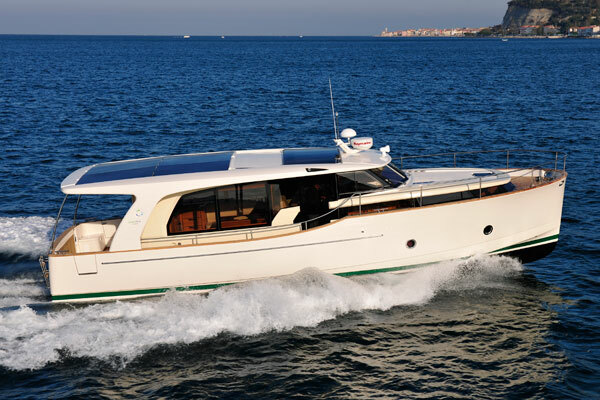 Reason enough that Greenline Yachts is still building boats today! 120VAC power at all times enables extensive use of domestic appliances and recreates the comfort of your own home: use of a full-size refrigerator, microwave oven, TVs and reverse cycle Air Conditioning.